At the beginning, there is nothing else than a crazy idea of two friends. The gastronomer M. Mosler wants to invest money, the trained car mechanic Herman Weisner is looking for a new job, as he got fired at his job as branch manager of a Berlin car rental. Robben & Wientjes refused to hire him. So they decide to act. 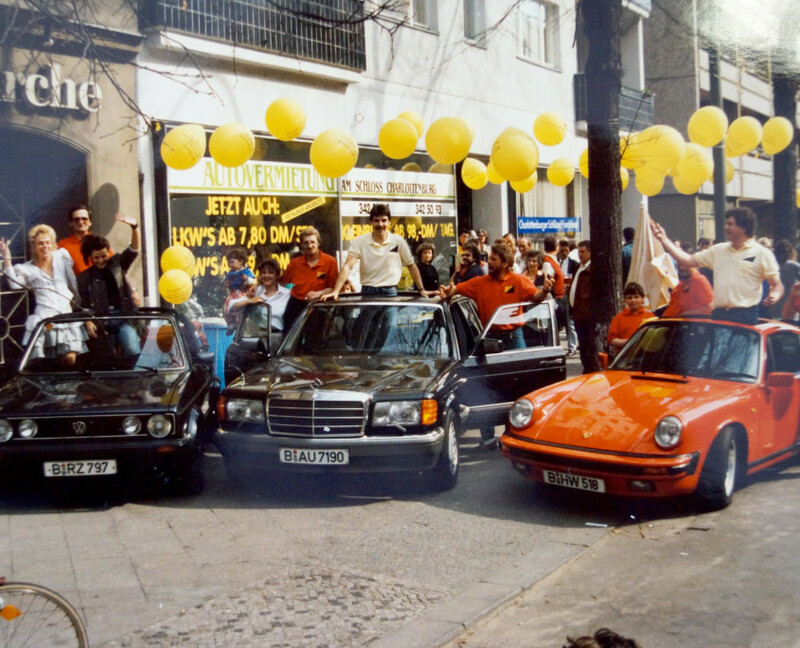 In 1983, the Allround Autovermietung at Hermannstraße 18 in Berlin, Neukölln is founded. How should the company be called? The two friends were anything else than creative. When having a beer together in a bar at Pariser Straße in Wilmersdorf, they start to brainstorm: The name should stand for an efficient and practical car rental that provides a varied range of rental cars, from cars to transporters and trucks. One thing is important to them: To be at the front pages of a telephone book. So “A” as first letter is decided. After a couple of more beers, the name “Allround” drops: We are flexible, quick and individual. We have a solution for every problem and a rental car for every price range. They still don’t remember who came up with the name first. The logo is self-made too. The first branch at Hermannstraße 18 in Berlin Neukölln has been a tobacco store before. Above the entrance a yellow plexiglass plate is hanging, on which the logos of cigarette brands are put up. Money is short at the beginning and without any further thoughts, the sign is converted and from that day on, you could read “Allround Autovermietung” in black font on the plexiglass plate. Their first logo was born: simple, quick and affordable. They start off with seven used cars, among them one transporter. Already two years after the founding, Herman Weisner pays his friend and investor out and continues to lead the company together with his present wife. He starts to hire his first employees. Soon the vehicle fleet counts 20 vehicles. In 1988, they open their second branch at Kaiser-Friedrich-Straße 86 in Berlin-Charlottenburg. The opening reception is held in typical Berlin style with free beer and music. In 1988, the company already rents 200 vehicles and holds 25 employees. Allround is specialized in providing customers a replacement vehicle for the repair period after an accident, a very profitable business at that time. 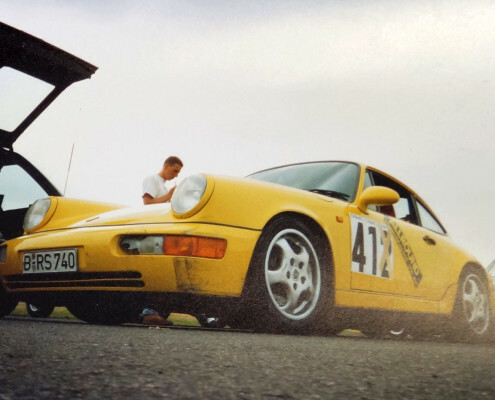 From the very first day on, company manager Herman Weisner has made a lot of decisions based on instinct, sometimes wrong ones, but most of the time they were good and right, like in 1989, when he takes over a car rental at Berlin’s Kurfürstendamm. Its 50 old rental cars are actually not worth the money but soon this decision pays off very well. When the Berlin Wall falls, East Berliners stand in line at Allround for a rental car to enjoy their newly gained freedom. For three years, the business is flourishing, Allround receives almost more orders than it can take on. The company founder immediately starts investing: New stores are opened in Bernau bei Berlin (Barnim district), Berlin-Weißensee and other locations. 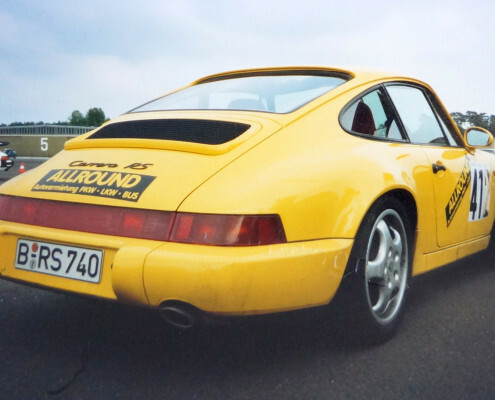 Allround continues to expand by taking over further Berlin car rentals. 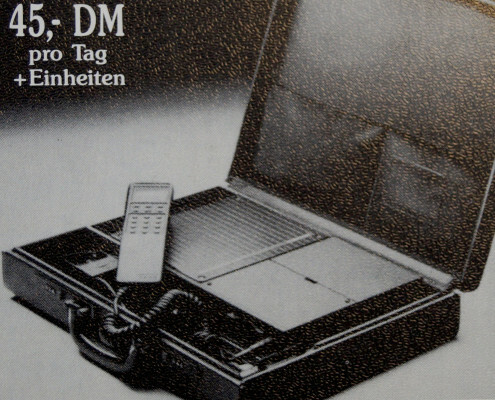 The newest invention in the early 1990s was a mobile suitcase telephone. 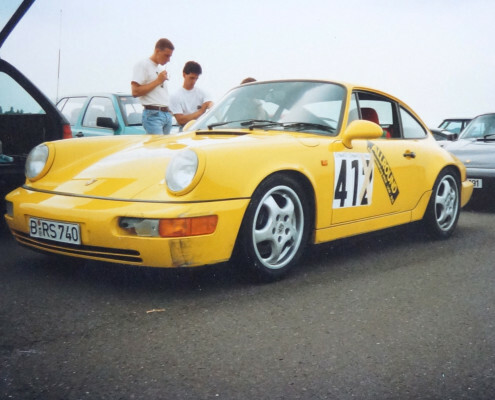 Already in 1993, Allround customers can rent it additionally to their rental car. 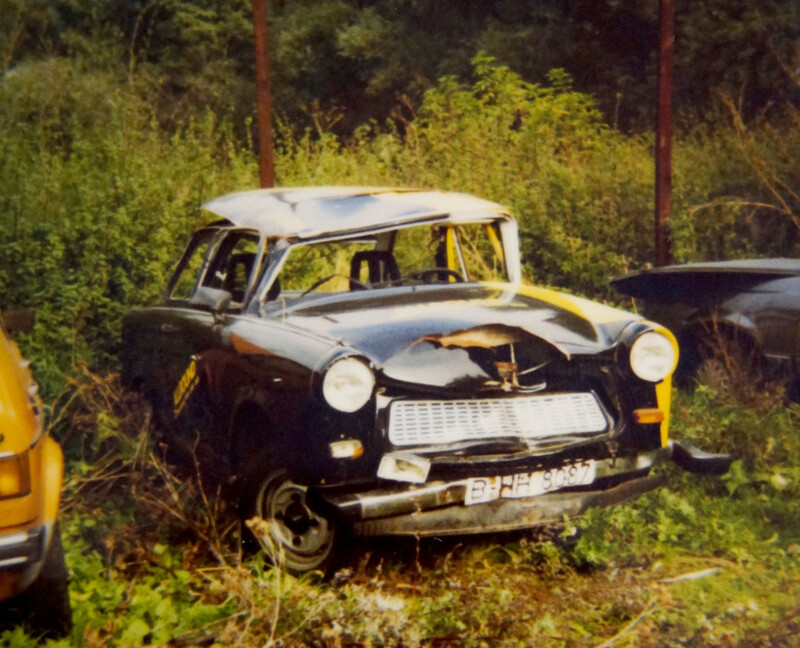 A few years after the fall of the Berlin Wall, the vehicle fleet counts 800 cars, among them many luxury cars such as Porsche, Ferrari and several expensive Mercedes. Business continues to flourish a bit more, until Allround is hit by a threatening crisis. In 1992, sales with accident replacement vehicles suddenly drop sharply: Car insurance companies suddenly don’t accept the car rental prices anymore. Furthermore, many of the luxury cars of Allround, like Porsche and Ferrari are written off and insurances drastically increase the premium. Additionally, the vacuum of vehicle demand that occurred at the border opening, slowly disappears. Back then, everybody at Allround knows that the golden days are over and they have to restructure. During that time, the vehicle fleet of rental cars has dropped to about half the offer. They already started an approach towards the truck segment a bit earlier. The first 7.5-tonner is added and the first cooling trucks are bought. Allround slowly starts to change from car and luxury car rental to transporter and truck rental. After having overcome the crisis, Allround opens up new stores in Berlin Spandau and Tempelhof and economically recovers in the following years. 12 and 18 tonners, trucks as well as tractor units and semi-trailers are added. In 2003, Allround buys up Karmax car rental with its branch in Berlin Mitte and with it strategically important customers (many catering departments of big hotels in Berlin) in the cooling vehicle segment. During this period, only their Berlin Neukölln store worries them. Here, some customers often try to frighten Allround employees, hold back cars or try to cheat rental prices. When employees are threatened with guns more than once, Herman Weisner decides to close the office after 21 years. Instead, a new location at Ullsteinstraße 53-55 in Berlin-Tempelhof opens up in 2004. Finally, there is a place for the vehicle fleet, that by then mostly consists of utility vehicles. 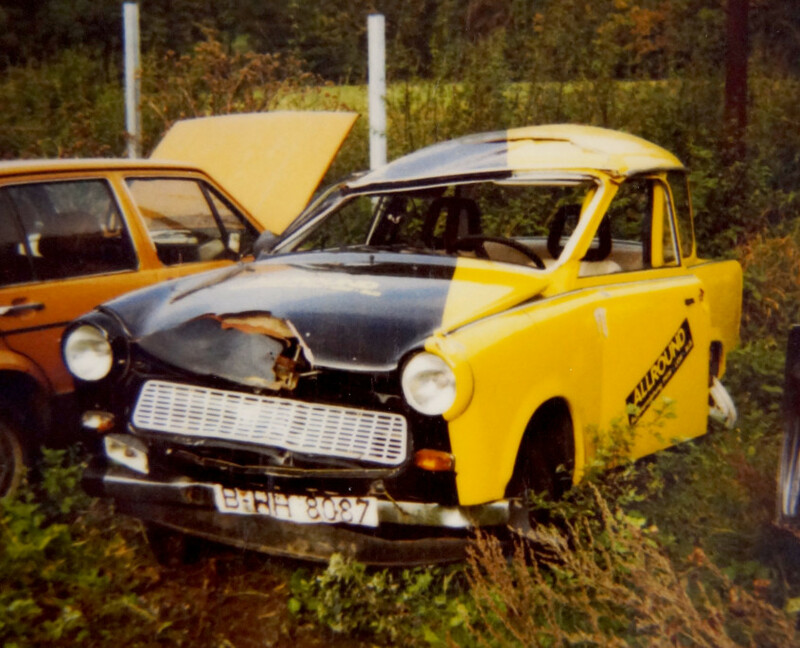 Furthermore, an own repair shop for cars and trucks with paint shop can be found there. In 2012, a washing plant for cars and trucks is added. This location also becomes the company’s new head office and administration moves from Kaiser-Friedrich-Str., Charlottenburg to Tempelhof. In 2013, Emile Weisner, the founder’s oldest son, joins the company and from that time on, father and son lead the Allround Autovermietung together. In the following years, a lot of time and work has been put into modernizing the company regarding its rental car vehicle fleet, brand identity and work processes. Today, the company counts 500 vehicles, around 50 employees and five offices in and around Berlin.